The Mutual Building is in the midst of an ambitious renovation that will include luxury apartments on the second and third floors and new commercial spaces on the first. The project is an important one for the revitalization of Downtown Covington, an effort that also includes an expanded urban metro campus for Gateway Community & Technical College, an expanded Madison Theater, the forthcoming Hotel Covington, the Doctors Building & other residential projects, as well as smaller business openings up and down the urban core. The Mutual Building is a project undertaken by Ashley Development and the Salyers Group. The River City News has spent the past three-plus years telling the stories of that redevelopment effort and is now excited to announce that it will be part of it first-hand. RCN will occupy one of the new offices inside the Mutual Building upon its completion early next year. "This is a dream come true, to put The River City News inside one of Covington's iconic buildings," said Michael Monks, editor & publisher of The River City News. "I have loved this building since I was a kid and to have the opportunity to be a part of it in this special time in the city's history, it's just incredible." RCN recently added full-time staff members and in October will launch a special print edition to preview the elections in the Northern Kentucky River Cities. Founded as a blog in June 2011, RCN has grown into the hometown newspaper for Northern Kentucky's urban cities, telling stories mostly ignored by the corporate media based in Cincinnati. From its launch as a laptop on a kitchen table, RCN now has three full time employees and a pool of talented contract writers and photographers who live and breathe the stories of this region. "We believe that a great region deserves a great newspaper and we want to be that great newspaper," Monks said. "It's going to be a lot of work, but we understand the stakes for Covington and Northern Kentucky, and we believe that no one will tell this region's stories better than we will." In the summer of 2012, The River City News moved from being a home-based operation to an office inside Roebling Point Books & Coffee on Greenup Street. During its stay in a small office in the building that is believed to be the very one that John Roebling worked in leading up to the construction of his namesake Suspension Bridge, RCN redesigned its website to be more user friendly, to accommodate more content for its readers, and to create a unique experience for advertisers and consumers to interact. "We are only able to grow to where we are now because of Richard Hunt and Roebling Point Books & Coffee," Monks said. "He has created a unique environment that fosters creativity and encourages people to interact for the better of the community." 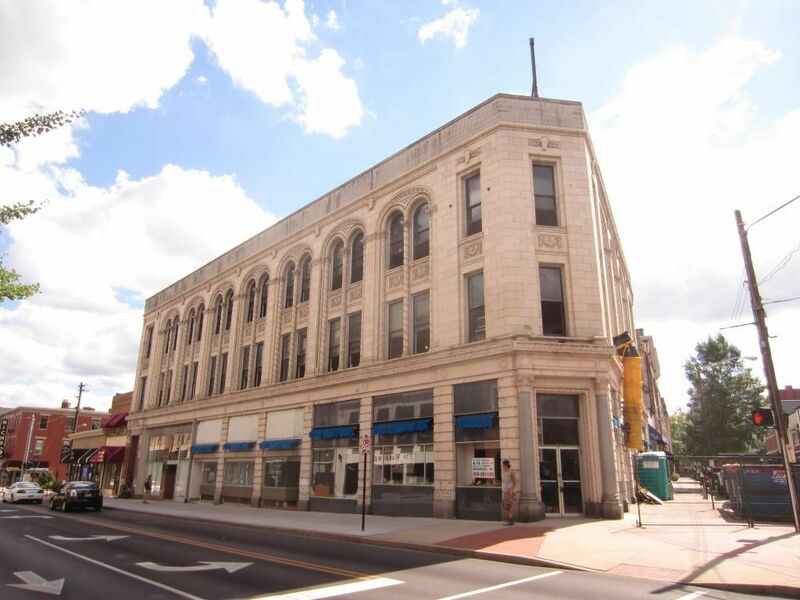 The new space at the Mutual Building will place The River City News right on Madison Avenue at Covington's most historic and prominent intersection, where Madison meets Pike Street. It's the same intersection where the Covington Journal published in the nineteenth century. ...We are fully apprised of the difficulties attending the publication of a newspaper in the city of Covington. So far as the news of the day is concerned the Cincinnati dailies anticipate everything, and no Covington paper can hope to compete with them in that particular. There are, however, interests which demand a local organ and which ought to insure it a liberal support. ... It is not to be expected that Kentucky interests or Kentucky politics will occupy a very prominent place in newspapers published out of the State, even where the desire to do full justice exists; and we know that Kentucky affairs have often been grossly misrepresented, and the misrepresentations have remained uncorrected because there has been no home newspaper whose special duty it would have been to make the necessary corrections. In addition to this, there are considerations which more immediately concern the citizens of Covington. Covington is rapidly increasing in population and in all the elements of a thriving city. Its annual revenues, and its expenditures as well, are now counted by tens of thousands - its public schools - its improvements, public and private - its police, its fire department, as well as other interests, demand notice, and indeed more careful consideration on the part of our citizens than they have hitherto received. We believe then that there is a vacancy for a newspaper in Covington and we hope in resuming the publication of the Journal to be able to fill that vacancy. We confidently look to the public to sustain us. "We still believe that vacancy for a newspaper in Covington exists and we work to fill that every day, not only in this city, but in our neighboring cities of Newport, Bellevue, Dayton, Taylor Mill, and Ludlow, and soon, the others," Monks said. "The message of the Covington Journal is still relevant today. But there is one point in which I disagree: Not only is it necessary to have a paper published independently here, I do believe that we can compete with the Cincinnati daily. I believe we will eventually beat them, too. We are already consistently far ahead of them on nearly every important issue facing Northern Kentucky's urban cities." The River City News will likely occupy the new space in February. There will be more announcements related to the move in the near future. Be sure to follow The River City News on Facebook, Twitter, or email us!